SIG M11-A1 a Unicorn captured. The SIG M11-A1 has been one of my Unicorn pistols for some time. 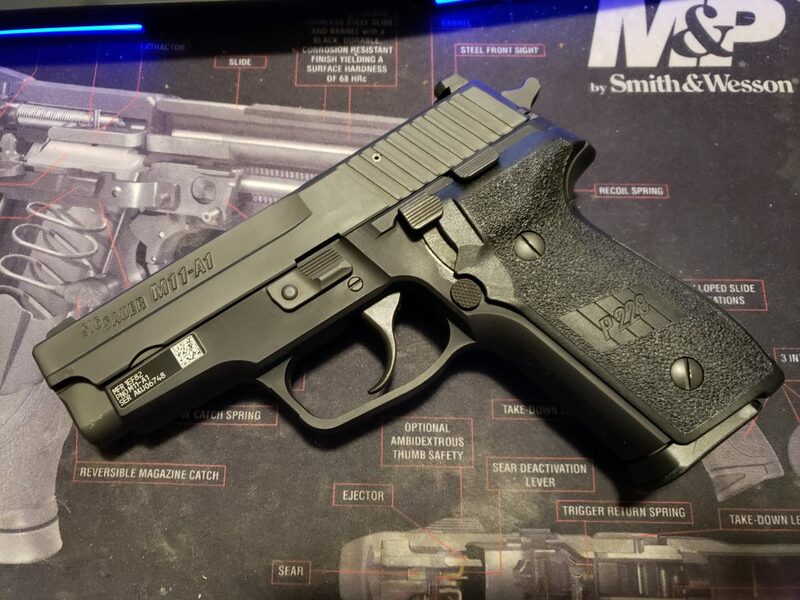 It’s basically the latest version of the P228 that’s no longer in production. I had used a 228 many moons ago as duty weapon when I did patrol work. The M11-A1 simply adds factory night sights, the SRT trigger, and that’s about it. If you are unfamiliar with the 228, that’s a shame. But it’s what the 229 became with the addition of a frame rail. The M11-A1 keeps the lines clean by being free of rails. Now, a lot of new Shooters out there might not know anything about the M11. In the 80’s when the US Army adopted the Beretta M9 pistol as the service pistol, they quickly found that it did not meet the needs of everyone that needed a pistol. So the Army adopted the M11 shortly thereafter. The M11 was primarily issued to Investigators and other DOD Agents that needed something concealable. It also found its way into the hands and holsters of Aviators and others that the M9 was too large for. The M11 has been quietly seeing service ever since the late 80’s. During that time, the civilian P228 was gaining popularity with Law Enforcement and I remember if a LEO wasn’t packing a Beretta, it was 226 or a 228. I myself carried a 228 on duty until I switched to an HK USP, a decision that I do not regret. But I did regret giving up the 228 from my arsenal. It was a good balance of size, weight, and capacity and really worked well.